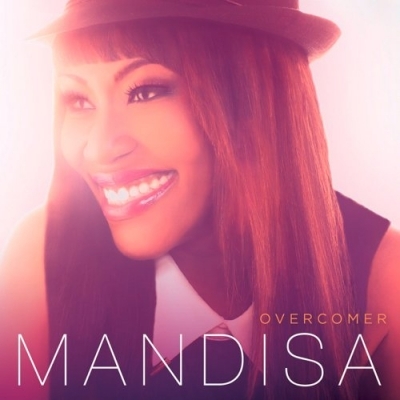 Two-time Grammy nominee Mandisa shot to fame as an American Idol finalist during the fifth season of the show and now releases her fifth studio album Overcomer. Mandisa is another one of my favorite vocalists. The moment I heard this amazing singer I just knew I couldn't wait to hear more. She has such a warm sound that comes out of her voice that you can not help but want to listen to again and again and again. Read More Two-time Grammy nominee Mandisa shot to fame as an American Idol finalist during the fifth season of the show and now releases her fifth studio album Overcomer. Opening title track Overcomer is a nice modern pop track. This song is well a rounded pop/dance track with Mandisa's trademark great vocals, and will have you dancing around the room. I love the line "You're not going under, cause God is holding you right now". The Distance and Back To You keep the upbeat sounds coming, fitting perfectly with what is impacting the charts and radio stations right now. But Mandisa has a voice that could blow some vocalist away, her voice sounds so sturdy and solid, yet at the same time so stylish and graceful. Mandisa's voice is so fashionable and sophisticated, particularly in the dance inspired 'Face 2 Face' which is such a catchy pop track. I have spent so some time listening to different styles of music over the years on LTTM and I have to admit I have enjoyed most genres, but what I enjoy most is if it; a) has a great message in the lyrics, b) has creative lyrics, c) a catchy melody, d) passion, and lastly e) a great vocal! This album has all of the above and so much more. If you are a fan of the work of Mandisa, you will love this album. She has produced yet another album of quality pop music for the listener to really get their teeth into.